"The agreement was more favourable to the Vatican than to Franco....The Concordat served, nevertheless, to legitimise the regime in the eyes of many Spaniards, and it was instrumental in strengthening Franco's hold over the country." In 1954, as a reward for giving the Church extensive privileges in a concordat the year before, Franco was admitted to the Supreme Order of Christ. Only heads of state are eligible for this highest Vatican honour: they must be Catholic — but they needn't be democratic. The Apostolic Holy See and the Spanish State, with the intention of guaranteeing fruitful co-operation for the greater good of the religious and civil life of the Spanish nation, have determined to draw up a Concordat which resumes and completes previous Concordats, and establishes the rules governing the reciprocal relationship between the contracting parties, in agreement with the law of God and the Catholic tradition of Spain. The Apostolic Roman Catholic Church will continue to be the sole religion of the Spanish State and will enjoy the rights and prerogatives due to it under Divine and Canon Law. 1. The Spanish State recognises in the Catholic Church the character of the perfect society and guarantees it the free and full exercise of its spiritual power and jurisdiction, as well the free and public exercise of the religion..
2. In particular, the Holy See is permitted to promulgate and publish in Spain all resolutions relating to the governance of the Church and to communicate without impediment with its Prelates, the clergy and faithful, and they with the Holy See. The same powers will be granted to Ordinaries and other Church authorities, in that which concerns the clergy and faithful. 1. Spain recognises the Holy See and the Vatican City as international legal entities. 2. To maintain the traditional and friendly relationship between the Holy See and the Spanish State, there will be permanent accreditation in respect of a Spanish Ambassador to the Holy See and an Apostolic Nuncio in Madrid, the latter being the Head of the Diplomatic Corps under customary law. 1. In respect of all the religious institutions and associations founded according to Canon Law and in existence at the time this Concordat comes into effect, Spain recognises their right to acquire, hold and administer all types of assets; in particular those dependencies of the Dioceses, Parishes, Religious Orders, societies living communally and the secular institutions of Christian life, recognised in Canon Law, be it papal or diocesan, in their provinces and their houses. 2. The same recognition will be enjoyed by similar institutions in Spain that may be founded or approved by the proper Church authorities at some time in the future, with the only condition being that the decree of establishment or approval be given in writing to the relevant State officials. 3. All management of assets belonging to ecclesiastical entities and religious associations and the supervision and inspection of said management of assets will be controlled by the appropriate authorities of the Church. The State must recognise as holidays those days designated as such by the Church in Canon Law or in other rules on local festivals and will ensure, by means of legislation, that the faithful are allowed to perform their religious duties. The civil authorities, at both national and local levels, will enforce the required observation of such holidays as rest days. In line with the concessions granted by the Supreme Pontiffs, St. Pius V and Gregory XIII, Spanish priests may offer daily prayers for Spain and the Head of State in the traditional form and as prescribed by Holy Liturgy. 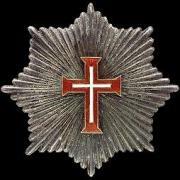 The Nullius Priory of the Military Orders in Cuidad Real will continue in existence. The rules referred to in the previous Article will apply in the selection of the Bishop Prior of the Priory. 1. To avoid the possibility that a diocese may extend into a different province, the contracting Parties will proceed, by common consent, to undertake a revision of diocesan boundaries. Likewise, the Holy See, with the agreement of the Spanish government, will take the appropriate measures to eliminate such areas. No part of Spanish territory or territory under Spanish sovereignty will have a bishop whose seat is in the territory of another sovereign state and no Spanish diocese will consist of any territory subject to foreign sovereignty, with the exception of the principality of Andorra, which will continue to be part of the diocese of Urgel. 2. For the formation of a new diocese or ecclesiastical province and for other changes of diocesan boundaries that are deemed necessary, the Holy See will come to prior agreement with the Spanish government, with the exception of minor territorial changes when it is for the good of the faithful. 3. The Spanish state undertakes to provide the funds for new dioceses that may be established in the future, increasing the grant established in Article XIX where necessary. The State, either directly or by means of local Corporations, will contribute an extraordinary grant for the initial expenses related to the formation of a new diocese, in particular grants for the construction of new Cathedrals and the buildings required for the Prelate’s residence, offices of the Clergy and seminaries. 1. The Church authorities may freely establish new parishes and modify boundaries of existing parishes. When these measures involve an increase in the State’s economic contribution, the ecclesiastical authorities will come to an agreement with the relevant State authority as regards said contribution. 2. If the Church authorities consider it desirable to group several existing parishes together, either temporarily or permanently, to form one parish which is managed by one or more assistants and with one presbytery with several priests, the State endowments will be maintained at the same level prior to the consolidation. The endowments of the vacant parishes may not differ from the endowments of occupied parishes. The Holy See and the Spanish government will, by means of a separate agreement and as soon as possible, regulate the rules governing chaplaincies and other devout foundations in Spain. In Fidelitas Hispaniarum, 22 days before the signing of the Concordat, Pope Pius XII told the Spanish people that, to continue the patronage of the King of Spain for the basilica of Saint Mary Major in Rome, “the Spanish Government promises to deliver every year on the first day of January the sum of 8,000 gold pesetas to the Holy See”. 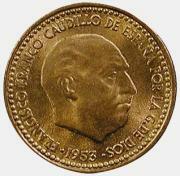 That’s 8,000 coins like this one, proclaiming Franco “Leader of Spain by the Grace of God”. 1. In consideration of the bonds of piety and devotion uniting the Spanish nation with the Cathedral church of St. Mary Major, the Holy See confirms the traditional privileges, honours and other stipulations in favour of Spain contained in the Papal Bull of August 5th, 1953, Hispaniarum fidelitas. 2. The Holy See concedes that the Spanish language is one of the languages that may be used in cases of beatification and sanctification at the Sacred Congregation of Rites. The clergy and members of Religious Orders will not be obliged to undertake public duties or functions that, under Canon Law, would be incompatible with their positions. To take up public jobs or obligations, a Nihil Obstat must be obtained from their own Ordinary and the Ordinary where activity is to be undertaken, and the activity must cease once the Nihil Obstat is revoked. The clergy and religious, either ordained or novices, are exempted from military service in accordance with Canons 121 and 614 of the Code of Canon Law. 1. The Prelates referred to in paragraph 2 of Canon 120 in the Code of Canon Law may not be put in front of a lay judge without the necessary licence being obtained in advance from the Holy See. 2. In disputes about assets or temporal laws in which legal proceedings are taken in the State courts against clergy or those in Religious Orders, the Holy See consents to prior notification to the Ordinary in the district where the case is heard, to whom the resulting rulings or sentences must also be communicated. 3. The State acknowledges and respects the exclusive competence of Church courts in respect of crimes that violate only a Church law, in agreement with Canon 2.198 in the Code of Canon Law. The civil authorities have no right of appeal against the decisions of these courts. 4. In cases of criminal proceedings being taken against clergy or those in Religious Orders for other offences under the Spanish penal code, the Holy See will allow these to be heard in the State courts. However, before proceeding, the judicial authorities must seek, without prejudice to the case and with due discretion, the agreement of the Ordinary in the district where the case is to be heard. Should the Ordinary feel that there are serious reasons for denying consent, these must be given in writing to the appropriate authority. Every attempt must be made to avoid any publicity in respect of the proceedings. The outcome of the proceedings and the final decision in the case must be diligently notified to the appropriate Ordinary. 5. When clergy or those in Religious Orders are detained or arrested they will be treated with the consideration due to their state and position. Prison sentences will be served in a Church or religious house which, in the judgement of the local Ordinary and the relevant State authority, offers suitable guarantees. Sentences will not be served in facilities where there are lay people unless the relevant Church authorities have demoted the person concerned to the lay state. They will be allowed bail and any other benefits established in law. 6. If assets are embargoed, the clergy and Religious should be left with sufficient for reasonable sustenance and the respect of their person, but obliged, nevertheless, to pay their creditors as soon as possible. 7. Clergy and Religious may be called as witnesses in State courts; however, if the case involves a crime which carries severe punishment then a licence must be applied for from the Ordinary in the district where the proceedings are heard. Nevertheless, in no case will they be required, by the Magistrates or any other authority, to give information about people or subject matter which has come to them in the course of their Sacred Ministry. The wearing of clerical dress or religious habit by lay people or clergy and religious who have been banned by the appropriate Church authorities is prohibited and, after the Government has been informed, infringements will be sanctioned with the same penalties that are applied to the inappropriate wearing of military uniform. The Church may freely claim by right loans authorised in Canon Law, organise collections and receive sums of money, goods and property, for the pursuit of their own objectives. 1. The Church and the State will look at the creation of an appropriate Church patrimony which will ensure a fitting endowment for the religion and the clergy. If in the future there is a notable change in general economic conditions, the aforementioned payments will be adjusted to the new circumstances and sufficient to ensure the maintenance of the religion and the fitting support of the clergy. 3. The State, faithful to the national tradition, will pay annual grants for the construction and maintenance of parish churches, rectories and seminaries; for the promotion of Religious Orders, Congregations and Church institutions dedicated to missionary activity and to the care of historically important monasteries in Spain, as well as sustaining the Spanish College of St Joseph and the Spanish Church and Montserrat Residence in Rome. 4. The State will collaborate with the Church to create and finance institutions to assist elderly, sick or incapacitated clergy. The State will also provide an adequate pension in favour of resident Prelates who, for reasons of health or age, have retired from their posts. a) Churches and chapels of the religion, dependent buildings and premises used in the service of the religion and offices of Catholic associations. b) Residences of bishops, canons and priests caring for souls, provided the property is owned by the Church. c) Premises that are used as offices of the diocesan Curia and the parish. d) Church universities and seminaries involved in training the clergy. e) The houses of Religious Orders and religious institutes established in Spain under Canon Law. f) Schools and other teaching centres, dependencies of the Church hierarchy, which are charitable in character. Also included in the exemption from tax are the gardens and grounds of the above-mentioned properties, provided they are not used for industry or any other profitable enterprise. 2. Exemption from tax is also granted to other activities associated with the Catholic religion, such as the publication of instructions, orders, pastoral letters, diocesan bulletins and any other document from the appropriate Church authorities with reference to the spiritual government of the faithful, and posting of the same in their customary places. 3. Exemption is also given to the endowments and grants for the religion and clergy described in Article XIX, and the exercise of priestly ministry. 4. All other assets of Church entities or individuals, including income which is not derived from religious activities or their ministry, will be subject to taxation, in line with the general laws of the State, in parity with other institutions or individuals. 5. Bequests and inheritances for the construction of religious buildings or religious houses or for general religious aims will be treated in the same way for tax purposes as those intended for charitable work and charitable education. 1. A commission will be set up in every diocese under the presidency of the Ordinary to supervise the maintenance, repair and future renovation of churches, chapels and church buildings designated historic or artistic national monuments, and also the antiques and works of art, either owned by the Church or entrusted to them, in use or in store, which have been declared of merit or national historic importance. 2. These commissions will be nominated by the Ministry of National Education with 50% of the members chosen by the bishop and approved by the government, the other 50% elected by the government with the bishop’s approval. 3. The commissions will have responsibility for archaeological excavations of sacred sites and, with the Ordinary, will ensure that the repair and reconstruction of the Church buildings mentioned above comply with the technical and artistic standards in general law, the prescriptions of the Liturgy and the demands of Sacred Art. 4. Similarly, they will ensure that both civil and Canon laws are complied with in respect of the removal and export of objects of historic value or artistic merit that are owned by the Church or used or stored by the Church. 5. The Church authorities will facilitate the study of documents of which it is the exclusive custodian in public Church archives. For its part, the State will give the appropriate technical and economic assistance in connection with the installation, cataloguing and conservation of said archives. 1. The immunity of churches, chapels cemeteries and other sacred places is guaranteed as prescribed in canon 1.160 in Canon Law. 2. Similarly, immunity is guaranteed for Episcopal palaces and curias, parish house and offices and for canonically established religious houses. 3. Except in an emergency, the public authorities may not enter the buildings cited above in the exercise of their duties without the consent of the proper Church authorities. 4. If it is in the public interest, for example in times of war, that the public authorities temporarily occupy any of the above mentioned buildings, prior agreement should be reached with the appropriate Ordinary. If this cannot be done for reasons of extreme urgency the occupying authority should immediately inform the same Ordinary. 5. Said buildings may not be demolished without agreement with the appropriate Ordinary, except in cases of absolute urgency, such as war, fire or flood. 6. In the case of expropriation for public use there will be prior discussions with the proper Church authorities, including financial compensation. No appropriation can go ahead until the assets concerned have been deprived of their sacred character. 7. The diocesan Ordinaries and the Superiors of religious orders, according to their respective circumstances, are required to ensure the observance of current public health and safety laws in the buildings referred to. The Spanish State gives full civil recognition to marriages celebrated under the rules of Canon Law. 1. The Spanish State recognises the exclusive competence of Church Tribunals and Dicasteries in lawsuits relating to annulment of marriage and separation of married couples, in the dispensation of brief and unconsummated marriages and in Pauline Privilege procedures. 2. Once proceedings for separation or annulment have been initiated and admitted in the Church courts it devolves to the civil courts to dictate, at the request of the interested party, the rules and precautionary measures that govern the civil effects related to the pending proceedings. 3. When the resulting sentences and resolutions are confirmed the Church court will communicate these to the civil courts who will decree what is necessary for their execution in the civil code and will order, in cases of annulment, brief marriage dispensation or an application of the Pauline Privilege, that they are annotated against the marriage entry in the civil State registry. 4. In general, all sentences, administrative decisions and decrees emanating from Church authorities in all matters within the limits of their competence will have effect on the civil order when they have been communicated to the appropriate State authorities who will, moreover, give the necessary support for their execution. 1. The Holy See confirms the privilege granted to Spain that certain cases should be heard and decided before the Court of the Rota of the Apostolic Nunciature, consistent with the Pontifical motu proprio of April 7th 1947. (R. 577 and Dictionary 18768) which re-establishes said Court. 2. There will always be two Spanish auditors in the Court of the sacred Roman Rota (Rota Romana) and will occupy the traditional seats of Aragon and Castille. In all centres of education, of whatever type or level, both public and private, teaching will conform to the principles of the dogma and morality of the Catholic Church. The Ordinaries may freely exercise vigilance over said centres of education in respect of the purity of the Faith, good habits and religious education. The Ordinaries can demand that books, publications and educational materials contrary to Catholic dogma and morality are prohibited or withdrawn. 1. The Spanish State guarantees the teaching of the Catholic religion as a regular and obligatory subject in all centres of education, both public and private, of all types and levels. Dispensation from this subject will be given to the children of non-Catholics if the parents or guardians so request. 2. In State primary schools, the teaching of religion will be done by the class teacher, except when the Ordinary raises objections for reasons covered in paragraph 3, Canon 1.381 in the Code of Canon Law. Parish priests, or their delegates, will give periodic catechism lessons. 3. In State secondary schools, religious education will be given by priests or religious or by lay teachers nominated by the appropriate civil authorities at the request of the diocesan Ordinary, or in the case of military schools or centres, the military Vicar General. 4. Together the civil and Church authorities will organise throughout the country special tests of teaching competence for those who are entrusted with religious education in universities and state secondary schools. Candidates who do not hold a degree in Religious Science (Bachelor or Doctorate, or the equivalent of a Religious Order) must also submit to a test of scientific adequacy [i.e., in “Religious Science”]. The examining bodies for both tests will consist of five members, of whom three will be ecclesiastics, with one of those three taking the presidency. 5. The teaching of religion in universities and associated centres will be carried out by ecclesiastics who hold a doctorate obtained in a Church university, or the equivalent in a Religious Order. After passing the test the appointment of the candidate will be proposed by the Ordinary. 6. Religious education teachers who comply with the requirements in clauses 3, 4 and 5 in this document will have the same rights as other teachers and will form part of the staff of the centre where they work. They can be removed at the request of the diocesan Ordinary for any of the reasons contained in the aforementioned paragraph 3 of Canon 1.381 of the Code of Canon Law. The diocesan Ordinary must be consulted in advance whenever the appropriate academic authorities consider it necessary to dismiss a teacher of religion for reasons of teaching or discipline. 7. Teachers of religion in private schools must be in possession of a special certificate of aptitude issued by the Ordinary. If the certificate is not renewed they will immediately be deprived of the capacity to teach religion. 8. Religious syllabuses for both state and private schools will be established by agreement with the appropriate Church authority. Only those textbooks approved by Church authorities may be used in the teaching of religion. 1. State universities, with the agreement of the appropriate Church authority, may establish systematic courses, especially in Scholastic Philosophy, Theology and Canon Law, with the syllabus and textbooks approved by the same Church authority. These courses may be taught by priests, religious and lay teachers who have a degree conferred by a Church university, or the equivalent from their own Order, and are in possession the nihil obstat from the diocesan Ordinary. 2. The Church authorities will allow lay students to enrol in some of their Universities, in the faculties of Theology, Philosophy, Canon Law, Church History etc., to attend classes except those that by their very nature are reserved exclusively for ecclesiastic students, and be awarded the respective academic degrees. The State will ensure that the institutions and services that form public opinion, in particular radio and television channels, give a proper position to the exposition and defence of the true religion by designated priests and religious, in agreement with the respective Ordinary. 1. Universities, seminaries and other Catholic institutions for the training and education of the clergy and religious will continue to be dependent on the authority of the Church and will be recognised and guaranteed by the State. The rules set out in the Agreement of December 8th 1946 (R. 1741 and Dictionary 17553) will continue in force as regards seminaries and universities for ecclesiastic studies. The State will offer as much economic support as is possible and proportionate to the training houses of Religious Orders, Congregations, in particular those of a missionary character. 2. Degrees in ecclesiastic science conferred on clergy or laity by Faculties approved by the Holy See will be recognised in all effects by the Spanish State. 3. Said degrees in ecclesiastic sciences will be considered sufficient for teaching in the capacity of incumbent professor, in the Arts departments of secondary schools under Church authority. 1. The Church may freely exercise the right to establish and govern public schools of all types and grades, including secular ones, according to Canon 1.375 of the Code of Canon Law. The State and the appropriate Church authority will agree what is required in order that these schools are recognised by the State. 2. The Church may establish adult colleges or residences attached to the respective district university which will enjoy the same benefits envisaged under the law for such institutions. 2. The diocesan Ordinaries, conscious of the need to ensure adequate spiritual care to all those in military service, consider it their pastoral duty to provide the Military Chaplaincy with a sufficient number of zealous priests, well trained to carry out their important and delicate task with dignity. The State, in agreement with the appropriate Church authority, will provide what is necessary to ensure religious support for those in hospitals, sanatoriums, prisons, orphanages and similar centres, and ensure the religious education of the staff assigned to said institutions. Likewise, the State will secure the observance of these standards in similar private establishments. The Associations of Catholic Action in Spain may freely develop their mission under the immediate dependency of the Church hierarchy, keeping within the limits of the general legislation of the State in respect of activities of other kinds. 1. The Holy See and the Spanish government will act together to resolve the doubts or difficulties that may arise from the interpretation or application of any clause in this Concordat, inspired by the principles which shaped it. 2. Matters relating to ecclesiastic persons or objects that are not covered in the preceding Articles will be regulated according to prevailing Canon Law. 1. This Concordat, the text of which is in both Spanish and Italian of equal validity, will come into force at the moment of exchange of the instruments of ratification, which should be verified within two months of signing. 2. When the Concordat comes into force it is understood that all dispositions contained in laws, decrees, orders and regulations are repealed, insofar as they contradict what is established by this Concordat. In faith of which the Plenipotentiaries sign this Concordat. Vatican City, August 27th 1953. – For the Holy See Domenico Tardini. For the Spanish State, Alberto Martín Artajo. Fernando Ma. Castiella y Maíz. In the national territory Article 6 of the Law of the Spaniards (R. 1945, 977 and Dictionary 9423) will continue to be valid. As regards the tolerance of non-Catholic religions in the African territories under Spanish sovereignty the current status quo will prevail. The Church authorities will enjoy the support of the State in the development of their activities and in this regard Article 3 of the Concordat of 1851 will continue in force. In relation to Article 23: A) for the recognition by the State of the civil effects of Canon Law marriage it will be sufficient that the certificate of marriage is transcribed in the corresponding civil registry. 1. In no case will the presence of a State official at a canonical marriage service be considered sufficient for recognition of its civil effects. 2. If a canonical marriage is not registered immediately after the ceremony it may always be carried out at the request of either side or whoever has a legitimate interest in it. To this end, the presentation of an authenticated copy of the marriage certificate issued by the parish priest in whose parish the ceremony took place will be sufficient. The aforementioned registration will be communicated to the appropriate parish priest by the representative of the civil registry. 3. The death of one or both spouses will not be an obstacle to registration. 4. It is understood that the civil effects of a marriage duly registered will apply from the date of the canonical celebration of the marriage. However, when the registration is requested more than five days after the ceremony, said registration will not prejudice the rights legitimately acquired by third parties. B) the civil rules relating to marriage of sons and daughters, minors and adults, will be harmonised with Canons 1.034 and 1.035 in the Code of Canon Law. C) in the matter of mixed marriages between Catholics and non-Catholics the State will harmonise its legislation with Canon Law. D) In the judicial regulation of marriages of persons not baptised, no obstacles will be established contrary to the law of nature. The concession referred to in Section 2 of this Article is conditioned by the undertaking on the part of the Spanish government to provide support for the two Auditors of the Roman Rota (Rota Romana). The jurisdiction of the Military Vicar General and chaplains is personal; it extends to all Army, Navy and Air Force personnel on active service (that is to say, under arms) to their wives and children who reside with them, to students at Military academies and schools and to all the faithful, of both sexes, religious and laity, who have a permanent job, of whatever kind in the Army, provided that they normally reside in a barrack or in those places reserved for soldiers. The same jurisdiction also extends to member of the Civil Guard and armed police and also to their families under the same terms as the previous paragraph.